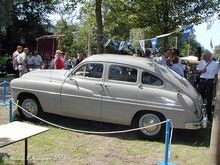 The Vedette was shown with a new body at the 1952 Paris motor show. In the spring of 1953, the V-8 engine was increased in capacity to 2,355cc and when the compression ratio was increased from 7 to 7.4:1 the power climbed from 66 to 80 bhp. By this time the Vedette's body styling was very dated and Ford had a replacement designed with a moncoque body. 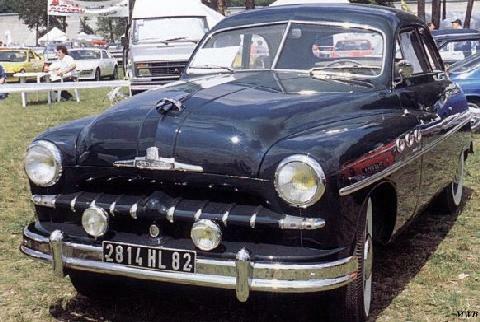 This did not go into production with Ford though, because in August 1954 they sold the factory complete with everything to Simca. The first of the new Vedettes that appeared were still sold as Ford cars though.